In our 8th episode of Aventri's (formerly etouches) Affinity Podcast series, we are joined once again with special guest-host, Sarah Imarata, Aventri's Director of Marketing and Sales Automation who interviewed Beth King, the Executive Director of Campus Relations and Special Events at Randolph-Macon College in Ashland, Virginia. While you may just think of graduations, student-life events, and seminars as the extent of higher ed event planning, there certainly are a ton more! From alumni events and class reunions, to non-college related seminars and conferences, college campuses are a breeding ground for events. In this edition, Beth King leans on her 13 years of higher-ed event planning experience and takes us through the challenges of having such a diverse portfolio of events to work with, quantifying and defining the success and challenges of an event, and the components to getting buy in from your team's key stakeholders. Higher Ed events aren’t just college related, they do it all! 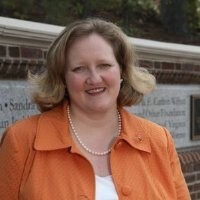 Beth is the Executive Director of Campus Relations and Special Events at Randolph-Macon College in Ashland, Virginia, a few miles North of Richmond. Beth has 25 years of experience in the Event Planning industry, 13 of which have been in higher education. Beth oversees all space on campus spaces such as classrooms, auditoriums, event spaces, etc. If it can be booked, she manages the calendar for it! She also is responsible for donor recognition events, commencement, honors convocation and so much more! 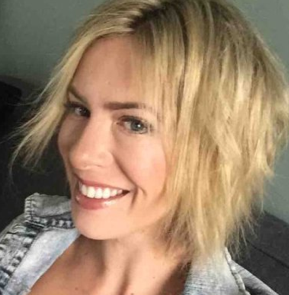 Beth has known her husband since 3rd grade and is a mom of 8 year-old twins!